Sculptor and painter Scott Dixson Penegar received his art degree in 1984 from Appalachian State University . Following graduation he moved to Morehead City N.C. and worked as a commercial fisherman and as an exhibit designer for the North Carolina Aquarium. He next moved to Charleston, S.C. and became a eco tour guide at Kiawah Island while studying marine biology at the College of Charleston. Scott married fellow artist Kaye in 1988 and continued his art career where his main focus was on welded sculpture and oil painting. In 1992 Scott and his wife moved to the Caribbean where he studied with the prominent artist Jan D'Esopo. There he worked in sculpture, bronze casting. While living in San Juan he worked on many commissioned pieces including two large bronzes that are in the Puerto Rican capital building. Scott's art is heavily influenced by his passion for the sea. 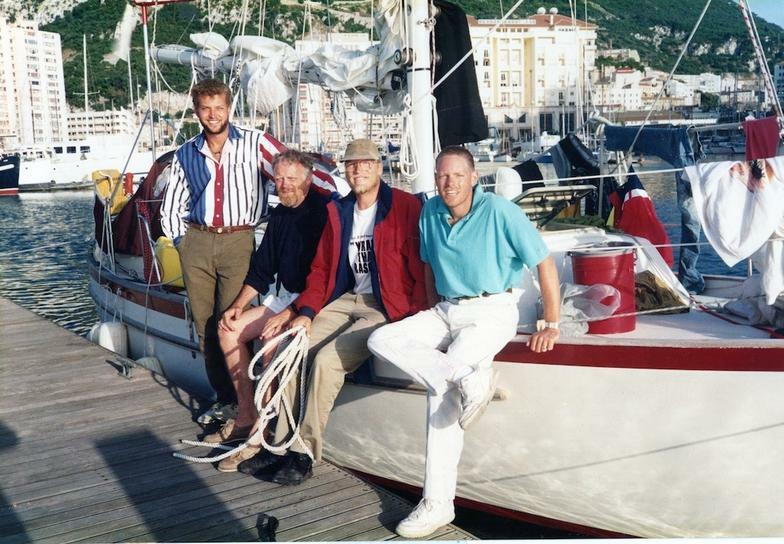 Scott has made two transatlantic crossings on a 34-foot sailboat, traveling from Maine to France and back via the Canary Islands and the Caribbean. During his travels, Scott spent much time visiting the works of the master painters and sculptors that have influenced his style. Scott returned to Charleston in 1995 to begin working on the sculptures and paintings that he and his wife now create at Penegar Studios. Scott's work can be found in numerous fine art galleries as well as private and corporate collections. He has created sculptures for South Carolina State Parks, Brookgreen Gardens, Ripley's Aquarium, The Frist Center for the Arts in Nashville, as well as many private commissions. Along with winning many awards, he was chosen to show in the Artistic Expressions art exhibition at the South Carolina Aquarium in 2005. He is He shows his art yearly at the Piccolo Spoleto Outdoor Juried Arts Festival, The Southeastern Wildlife Exposition, the Easton Waterfowl, Festival and Sculpture in the Park, Loveland Colorado. He is a signature member of The American Society of Marine Artists and is an exhibiting member of the Charleston Artist Guild and Tri-State Sculptors He has appeared in several publications including Southern Living, House and Garden, and Marlin Magazine.